SUDHA RENUKAIAH and ORS Vs. STATE OF A.P. 1. These appeals have been filed against judgment dated 09.07.2013 of High Court of Andhra Pradesh, allowing the Criminal Appeal No. 340 of 2009 and Criminal Revision Case No. 643 of 2008.Criminal Appeal was filed by the State of A.P. and Criminal Revision was filed by Somarowthu Laxmi Samrajyam, wife of Siva Sankara Rao deceased. The High Court vide its judgment has set aside the order of the Trial Court acquitting the accused and has convicted the accused under Section 302 read with Section 149 IPC. The accused aggrieved by the judgment of High Court, convicting them have come up in these appeals. 2. The prosecution case briefly stated is: All the accused and the de facto complainants are permanent residents of Vellaluru village. Two factions, one of the accused party and another of complainant party had been attacking each other and several criminal cases had been registered against both the factions. One Satyanarana, belonging to the complainant party was killed on 07.02.2003, for which a case in Crime No. 08 of 2003 of Ponnur Rural Police Station was registered for the offences punishable under Sections 147, 148 and 302 read with 149 IPC. While so, another case in Cr. No. 35 of 2003 of Ponnur Town Police Station, was registered for the offences punishable under Sections 147, 148 and 302 read with 149 IPC against Somarowthu Tirupathirao(hereinafter referred as deceased No. 1), Somarowthu Siva Sankara Rao (hereinafter referred as deceased No. 2) and others who were alleged to have killed one Sooda China Veeraiah and in connection with the said case, the above named two deceased and others were arrested and remanded to judicial custody. The Court gave conditional bail to them to the effect that they should remain at Bapatla only and shall report daily before the Bapatla Police Station, and shall also appear before the Ponnur Court once in a week. In connection with the above case, on 10.10.2013 the deceased No. 1 and No. 2, along with PWs. 1 to 6 and PW.9, went to Ponnur on three two-wheelers to attend the Court and after attending the Court, they were returning back in the evening and on receipt of the said information, all the accused except A.2, A.4 to A.6, A.11, A.13 and A.18 conspired together and as A.18 was having a lorry bearing No. ADM 8373, all of them collected deadly weapons like axes, knives, rods and sticks, went in the lorry of A.18 and dashed the two wheeler in which both the deceased and PW.5 were travelling. Both the deceased fell down from two wheeler. Thereafter, the accused attacked them indiscriminately and killed them and also inflicted injuries on PW.5 and they all ran away from the scene of offence in the same lorry along with the weapons. Deceased No. 1 died on the spot and other injured were shifted to the Hospital. The others, who were following the two wheeler of the deceased witnessed the incident and reported the matter to police and shifted the second deceased to Ponnur Hospital, where the Doctor declared him dead and other injured (P.W.5) was referred to Government Hospital, Guntur. On intimation, the police went and recorded the statement of PW.1. PW.20 the Head Constable, Bapatla Town P.S., handed over the file to PW.21 who registered a case in Crime No.57 of 2013 for the offences punishable under Sections 147, 148, 307, 302 read with 149 IPC. After completion of investigation, PW.23 laid the charge sheet. 3. The incident took place at 04:00 PM. Deceased-1, Tirupati Rao died on spot, whereas Siva Sankara Rao, Deceased-2 and S. Venkaiahnaidu (PW.5) were immediately taken to Govt. Hospital, Ponnur at which Hospital Siva Sankara died between 05:30 PM to 06:00 PM. Venkaiahnaidu(PW.5), who was unconscious, on advice of Doctors was shifted to Govt. Hospital, Guntur. The Police came at Govt. Hospital, Ponnur and recorded the statement of Sivarama Krishnaiah (PW. 1) at 06:00PM, on the basis of which statement, the FIR was registered, as Criminal Case No. 57 of 2003 under Section 147, 148 and 302 read with 149 of IPC. 4. PW.23, Investigating Officer(hereinafter referred to as ‘IO’) took up the investigation on 10.10.2003 itself. After visiting Govt. Hospital, Guntur, IO found Venkaiahnaidu unconscious. He could not record the statement of PW.5. PW.5 on 14.10.2003 was shifted to Hi-tech Hospital, Guntur where he regained consciousness after 20 days. IO recorded the statement of PW.5 on 04.11.2010 at Hi-tech Hospital. The IO also visited the place of incident, seized various articles, prepared the sketch map and also got the spot photographs. After conducting the investigation, IO submitted the charge sheet against 19 accused, out of which A.18 had already died on 14.12.2003. All the accused were put on trial. Prosecution before the Trial Court examined PW.1 to PW.23, marked exhibit P.1 to P.25 and also marked M.O.1 to 16. PW.1 to PW.6 and PW.9 are the eye-witnesses of the incident. PW.7 and PW.8 are the wives of first and second deceased, who after knowing about the incident rushed to the scene of offence. PW.10 was examined to show that on the date of incident, she had seen the accused making preparation in a lorry in front of his house. PW.16 is a doctor who treated the injured at Govt. Hospital, Guntur. Doctors who conducted the postmortem of two dead bodies were also examined, as PW.17 and PW.18. P.W.23 is Investigating Officer who conducted the investigation. The accused did not lead any evidence. During pendency of the trial A.1, A.9, A.11 and A.18 having died, trial abated against such accused. 5. The Trial Court vide its judgment dated 24.12.2007 acquitted the accused. Trial Court after referring to evidence of eye-witnesses came to the conclusion that there were contradictions and omissions. The Trial Court observed that medical evidence does not support any injury by battle axe. After referring to the injuries of P.W.5 and medical evidence, Trial Court observed that it is not possible to hold that injuries were caused with sharp edge weapon like hunting sickle. 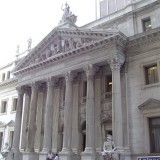 Trial Court held that accused are entitled to benefit of doubt and acquittal. Aggrieved by the judgment of Trial Court, State filed an appeal being Criminal Appeal No.340 of 2009. Somarowthu Laxmi Samarajaya wife of Siva Sanakara Rao deceased, filed Criminal Revision No. 643 of 2008. Both Criminal Appeal and Criminal Revision were heard together and have been allowed by the High Court. A.1 to A.3, A.5 to A.7 and A.11 were found guilty under Section 302 read with 149 IPC and they have been convicted and sentenced to undergo life imprisonment and to pay a fine of Rs.500/- each. Acquittal of A.12 to A.9 have been affirmed. These appeals have been filed by A.2, A.3, A.5, A.6, A.7 and A.11 (A-1, being dead). 6. We have heard Shri A.T.M. Ranga Ramanujam and Shri Sidharath Luthra, learned senior counsel for the appellants. Ms. Prerna Singh, learned counsel has appeared on behalf of the State. 7. Learned counsel for the appellants in support of the appeal contended that the order of acquittal by the Trial Court was based on appreciation of evidence on record which order of acquittal required no interference by the High Court. It is contended that even if two views are possible, the order of Trial Court acquitting the accused need no interference by Appellate Court. The medical evidence which was led by the prosecution did not support the ocular evidence led by so called eye-witnesses. Hence, the Trial Court rightly disbelieved the prosecution case. 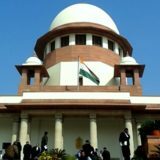 The High Court wrongly put the burden on the accused to prove that deceased and eye- witnesses were not required to attend the Court whereas burden lies on the prosecution to prove that the deceased and all the eye-witnesses were required to attend the Ponnur Court from where they claimed to be returning. There being long standing enmity between the accused and complainant party, the accused have been roped in. When Doctors came before the Court for recording their evidence, the weapons which were seized were not shown to them, so as to form an opinion whether injuries on the deceased and injured witness could have been caused by such weapons, which prejudicially affect the prosecution case. 8. Learned counsel for the State refuting the submissions of learned counsel for the appellants contends that the High Court has rightly reversed the order of acquittal. It is contended that eye-witnesses account given by the eye-witnesses was worthy of reliance and Trial Court on account of insufficient reasons discarded such evidence. The injured PW.5, Venkaiahanaidu, eye-witness had fully proved the incident and specifically proved the roles of accused which evidence ought not to have been discarded by the Trial Court. It is submitted that the High Court has correctly re- appreciated the evidence and has given cogent reasons for finding the evidence trustworthy and believable. The account of injuries as proved by eye-witnesses was fully corroborated with the medical evidence. The evidence of eye-witnesses who were accompanying the deceased Nos.1 and 2 could not have been discarded as interested witnesses whereas they were family members who were accompanying the deceased on the motor-cycle and others on two-wheeler which eye-witnesses could prove the incident. The judgment of conviction by the High Court is based on correct appreciation of evidence and the accused having been found guilty, the appeals deserve to be dismissed. 9. Learned counsel for the appellants has placed reliance on several judgments of this Court which shall be referred to while considering the submissions of the parties. 10. As noted above, PW.1 to PW.6 and PW.9 are all eye-witnesses of the incident. PW.5, Venkaiahanaidu is an injured witness who was travelling on the Hero Honda motor-cycle driven by Tirupati Rao, his father (deceased No.1). The Trial Court after commenting on the evidence of the eye- witnesses had proceeded to discard the evidence by giving some reasons. We have carefully looked into the order of the Trial Court as well as depositions of eye-witnesses and adverted to the reasons given by the Trial Court for not believing the evidence. We shall refer to the reasons given by the Trial Court for discarding eye-witnesses one by one. We first take up the deposition of the injured witness-PW.5 and the reasons given by the Trial Court to discard his evidence. 11. As noted above, PW.5, aged about 12 & ½ years on the day of incident was sitting on Hero Honda motor bike driven by his father, Tirupati Rao, deceased No.1, Siva Sankara Rao deceased No. 2, was also sitting on the same motor bike. PW.5, Venkaiahanaidu in his eye-witness account has deposed that he, his father and Siva Sankara Rao were on Hero Honda motor bike returning to Baptala, PW.1- Sivarama Krishnaiah, PW.3, Murali Krishna, were coming on scooter whereas Veerahaviah, PW.4, Venkatalakshmi Narasimha, PW.2 and PW.9, Venkateswara Rao were coming on TVS moped. They left for about 3 or 3.40 p.m. and at about 4 p.m. when they reached the scene of offence, Tirupati Rao, his father observed that a lorry driven by accused A- 3 was coming from opposite direction, his father turned the vehicle to go back. At that time the lorry hit their motorcycle, they all fell down. All the accused were in the lorry with knives and axes. His father and Siva Sankara Rao were attacked by the accused with axes and knives. A-19 beat PW.5 on his right temporal bone with knife whereas Botchu Vasu “ A-11 beat with stick on his right side. He stated that he lost consciousness which he regained at Hitech Hospital, Guntur. It has come on evidence that immediately after occurrence both Shiva Shankar Rao and Venkaiah Naidu were taken to Government Hospital, Ponnur. Shiva Shankar Rao died between 5.30 to 6 p.m. at Government Hospital, Ponnur and Venkaiahanaidu, PW.5 was shifted to Government Hospital, Guntur where he was examined at 6.15 p.m. by Dr. Vinayvardhan, PW.16, who in his evidence has clearly proved that on 10.10.2003 at 6.15 p.m. he examined injured Venkaiahanaidu accompanied by Murali Krishna, PW.3 and injuries were found in his body. PW.23, IO had taken the investigation in the evening on 10.10.2003 itself and recorded statement of PWs.1, 2, 3, 4, 6 and 9 on the same day. He also on the same day came to know that injured, PW.5 was shifted to Government Hospital, Guntur where he went and found PW.5 unconscious, hence, statement of PW.5 could not be recorded on that day. 12. Now, let us come to the judgment of the Trial Court and advert to the reasons given by the Trial Court for discarding the evidence of injured eye- witness. In paragraph 15 of the judgment, Trial Court has observed that PW.23 in his statement has stated that when he went to Government Hospital, Ponnur, PW.5 was absent and he was shifted to Government Hospital, Guntur as his condition was critical. The Trial Court has observed that unfortunately “the Doctor at Government Hospital, Ponnur was not examined and there is no record to show that PW.5 was also taken to the Government Hospital, Ponnur along with the second deceased”. The above observation that no Doctor from Government Hospital, Ponnour was examined nor there is any record to show that PW.5 was taken to Government Hospital, Ponnur has no significance since Venkaiahanaidu, PW.5 was shifted to Government Hospital, Guntur where he was examined at 6.15 p.m. on the same day which was proved by the Doctor. PW.16. PW.1 and PW.3, both had stated that after the incident both the injured Siva Sankara Rao and Venkaiahanaidu were taken to the Government Hospital, Ponnur and after 5.30 p.m. Siva Sankara Rao died and Venkaiahanaidu was asked to be taken to Government Hospital, Guntur. Non-examination of Doctor to prove that injured PW.5 was first taken to Government Hospital, Ponnur was inconsequential and immaterial, when there is no dispute that injured was admitted in the Government Hospital, Guntur and was examined by the Doctor at 6.15 p.m. on the same day. In paragraph 16 Trial Court has referred to evidence of PW.16, Doctor who examined PW.5 on 10.10.2003 at 6.15 p.m. The evidence of Doctor, PW.16 extracted by the Trial Court in paragraph 16 of the judgment that PW.16 who was working as CMO in the Government Hospital, Guntur has stated that on 10.10.2003 at 6.15 p.m. he examined Venkaiahanaidu, PW.5 accompanied by Murali Krishna, PW.3, the Doctor was also noted that PW.5 was injured and said to be beaten with Veta Kodavali (hunting sickle). The following injuries were noticed by the Doctor: “1. Diffused swelling 10 x 10 cm on right occipital partial region with one centimeter laceration-bleeding. 2. Graze abrasion on left hand and fore arm 10 x 5 cm size red in colour. 30. In the present case Dr. N. Subba Rao, PW.17 appeared before the Court who had conducted the postmortem of Tirupati Rao. Doctor in his statement has stated that the injuries could be caused with battle axes and knives. PW.18 has conducted the postmortem of Siva Sankara Rao. PW.18 has stated that “injuries noted in my postmortem can be caused by axes, battle axes and knives”. The eye-witnesses in their eye-witness account have stated that accused used axe, knives and sticks while attacking on deceased Nos.1 and 2. The injuries noted in the postmortem of deceased Nos.1 and 2 are injuries which can be caused by axe, knives and sticks. Thus, there was no inconsistency with medical evidence and the ocular evidence. The death of both deceased Nos.1 and 2 was homicidal in nature. A perusal of the statements of the PW.17 and 18, Doctors who conducted the postmortem as well as PW.16 who gave evidence on injuries of PW.5, indicates that they were not shown the weapons by which injuries were caused. It is useful to refer to the external injuries noted by PW.17 on the dead body of Tirupati Rao. In the statement of PW.17, he stated as follows: “On 11-10-2003 at about 3-1 p.m., I conducted postmortem on the dead body of a male body by name Somarouthu Tirupathirao, first deceased. The external appearance regormortis passed of External injuries:- Cut injury of 11x2x1 cm., in oblique direction over the left ear lobule extending towards temporal region and downwards towards neck. Cut injury 12×4 cm., bone deep on left parity occipital region. Deep dissection shows linear fracture of left parital bone. Cut injury of 5×2 cm., scale deep on left front parital region. Cut injury of 20×2 cm., x2.5 cm., from dorsum of right forearm to the dorsum of hand. Deep dissection shows both radius and ulna fractured. Cut injury 8×5 cm., skin deep over upper 1/3rd of upper arm. Cut injury of 8 cm., x 3×3 4 cm., encircling left shoulder deep dissection shows displacement head of humorous posterior. Cut injury of 7 cm., x 2 x 2 cm., on the back of left shoulder region. A crushed inury on left leg 22 x 10 cm. bone deep. Deep dissection shows both tibia and fibula fractured. A cut injury of 8 cm. x 3 cm., bone deep in the middle of right thigh. Deep dissection shows of right femur fracture at middle. Cut injury of 10x2cm., skin deep on left inter scapular area on left of back of chest. Cut injury of 10×2 cm., skin deep on back of chest below injury no.11. Cut injury of 10×2 cm., skin deep on right side of back of chest. Stab injury of 6×2 cm., on right lumbar region and deep dissection shows a lacerated injury of 2×1 cm., over right kidney on superior lateral region. 31. Looking to the injuries as noticed by PW.17, it is clear that the cut injuries as noticed above could be by axe and knife as well as by battle axe as opined by the Doctor. The fact that weapon was not shown to the Doctor nor in the cross-examination attention of the Doctor was invited towards the weapon, is not of much consequence in the facts of the present case where there was clear medical evidence that injuries could be caused by knife, axe and battle axe. It is not the contention before us that the injuries as noted by the Doctors in the postmortem of deceased Nos.1 and 2 could not have been caused by knives and axes. The submission has also been raised that it was put to the Doctor that injuries by battle axe could be half moon, Doctor himself admitted in his report that he has not reported depth of the injury, middle of the injury nor margins of the injuries have been noted. He has not described any injury as the half moon. Doctor himself has admitted that he has not described the shapes of the injuries, depth and middle of the injuries. The above medical evidence does not lead to the conclusion that injuries as noticed by the Doctors could not have been caused by axe, knives and battle axe. The eye-witnesses, PW.1,2,3 and 5 have clearly mentioned about the weapons used by the accused which eye- witnesses accounts are in accordance with medical evidence. Thus, mere non- showing of the weapons to the Doctors at the time of their depositions in the Court is inconsequential and in no manner weakens the prosecution case. Some discrepancies referred by the Trial Court in the statements of eye- witnesses were inconsequential. The eye-witnesses after lapse of time cannot give picture perfect report of the injuries caused by each accused and the minor inconsistencies were inconsequential. It is useful to refer to the judgment of this Court in Chandrappa and others vs. State of Karnataka, (2008) 11 SCC 328. In paragraphs 17 and 18 following was stated: “17. It has been contended by the learned counsel for the appellants that the discrepancies between the statements of the eyewitnesses inter se would go to show that they had not seen the incident and no reliance could thus be placed on their testimony. It has been pointed out that their statements were discrepant as to the actual manner of assault and as to the injuries caused by each of the accused to the deceased and to PW 3, the injured eyewitness. We are of the opinion that in such matters it would be unreasonable to expect a witness to give a picture perfect report of the injuries caused by each accused to the deceased or the injured more particularly where it has been proved on record that the injuries had been caused by several accused armed with different kinds of weapons. 39. The following principles emerge from the cases above: 1. The accused is presumed to be innocent until proven guilty. The accused possessed this presumption when he was before the Trial Court. The Trial Court’s acquittal bolsters the presumption that he is innocent. 2. The power of reviewing evidence is wide and the appellate court can reappreciate the entire evidence on record. It can review the Trial Court’s conclusion with respect to both facts and law, but the appellate court must give due weight and consideration to the decision of the Trial Court. 3. The appellate court should always keep in mind that the Trial Court had the distinct advantage of watching the demeanour of the witnesses. The Trial Court is in a better position to evaluate the credibility of the witnesses. 4. The appellate court may only overrule or otherwise disturb the Trial Court’s acquittal if it has “very substantial and compelling reasons” for doing so. 5. If two reasonable or possible views can be reached”one that leads to acquittal, the other to conviction”the High Courts/appellate courts must rule in favour of the accused. 37. Present is a case where reasoning of the Trial Court in discarding the evidence of injured witness and other eye-witnesses have been found perverse. The High Court, thus, in our opinion did not commit any error in reversing the order of acquittal and convicted the accused. From the eye-witnesses account, as noticed above and for the reasons given by the High Court in its judgment, we are of the view that High Court is correct in setting aside the order of acquittal and convicting the accused. 38. There is no merit in these appeals. Both the appeals are dismissed. New Delhi, April 13, 2017.